By Francis Yupangco Charles’ interest for the sea began at an early age. 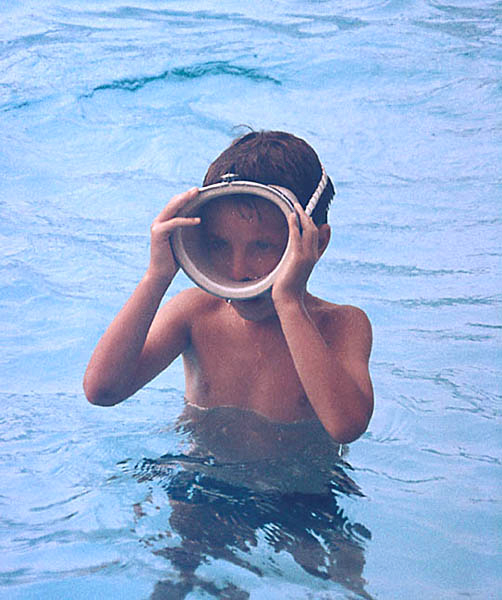 He was captivated watching Jacques Cousteau documentaries in the 1960’s. His journey into the aquarium hobby began when he was 10 with his father’s 5 gal metal framed aquarium and a breeding pair of Kribensis Pelvicachromis pulcher. Aged 6 years old, Charles’s first mask had a bungee cord for a strap. At 12, Charles went on the first of many family vacations to the Florida Keys. The budding biologist had come prepared and brought along a 5-gallon aquarium and an air-driven filter for the trip. He set up the tank in the various hotel rooms they stayed at in the Keys. The tank was stocked with a variety of fish and invert specimens he collected while snorkeling along with small pieces of live rock and Halimeda sp. 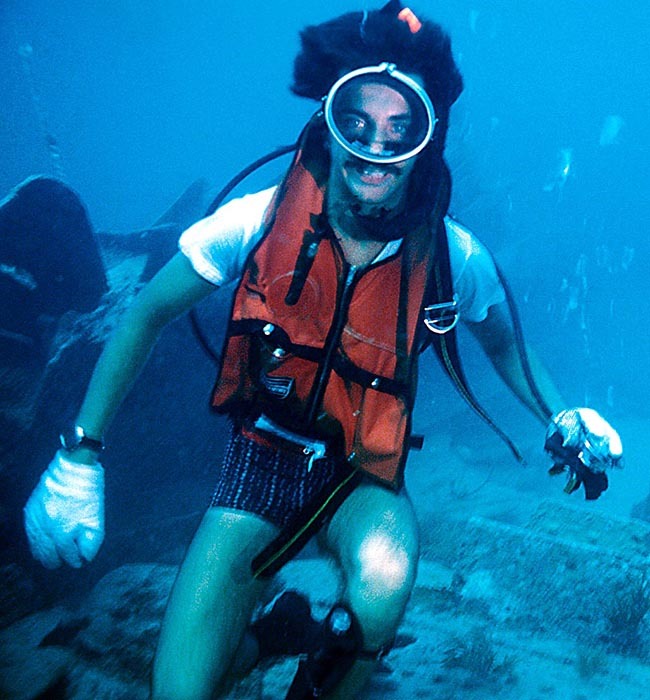 First SCUBA dives in the Florida Keys, aged 15. At the end of the vacation, the responsible aquarist released his charges back into the ocean before making the long drive back to Ontario with his family. By the age of 14 Charles got his first permanent marine tank and stocked it with Scats and an array of Damsels. In the early 1980’s the “father of the mini reef in North America” George Schmidt began publishing a series of articles in the now defunct Freshwater and Marine Aquarium Magazine (FAMA). George described how to keep corals in aquaria using the Dutch method and brought attention to reef keeping in North America through his articles. Inspired by these articles that described aquariums stocked with healthy corals and marine macro algae, Charles got his first live coral aquarium in 1987. Charles earned his Master’s Degree in Marine Biology from the University of Toronto and worked as a high school teacher for 8 years prior to joining the public aquarium industry. He remained an avid hobbyist and wrote regularly for FAMA. A fact unknown to many people is that Charles was the driving force behind organizing the first ever Marine Aquarium Conference of North America (MACNA) in 1989, which was held in Toronto where he lived. The MACNA Conference has been held annually ever since and has become a necessary pilgrimage for reef hobbyists around the world. 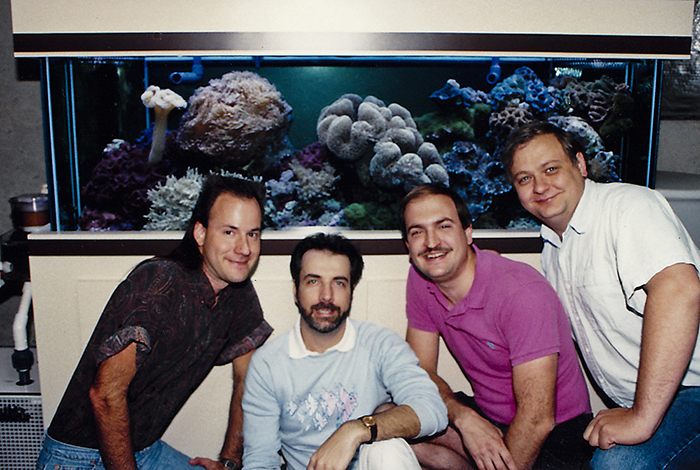 Left to right: Julian Sprung, Charles Delbeek, Mike Paletta, and John Burlseon in front of John’s reef tank, 1990. Charles’ friendship with fellow reef aquarium pioneer Julian Sprung began in 1987/88. Julian was invited to speak about his FAMA-Reef Notes articles at the Toronto Marine Aquarium Society where Charles was an active member. The pair recognized a need for a comprehensive science-based reference book detailing how to be successful at keeping corals in the home aquarium. Soon after their first meeting, the two began writing their first book together, the revolutionary Reef Aquarium Series. The initial intention was to published just one book; however they soon realized that the subject needed a series of books to do it justice. In 1997, first dive in the south-western Pacific, Palau. Photo by M. Awai. 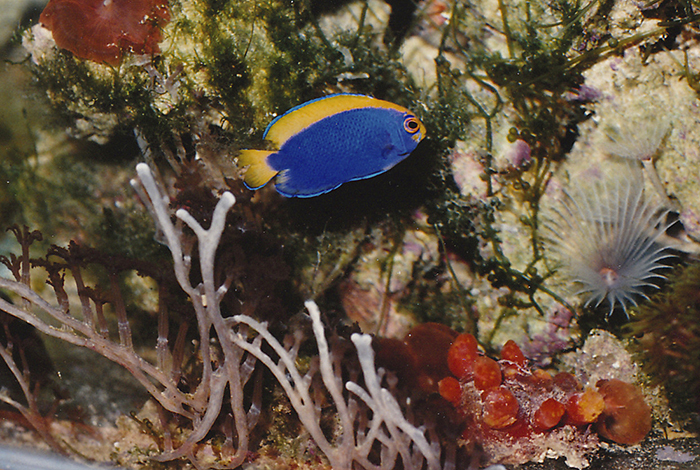 In 1994, the iconic Reef Aquarium Volume 1 was published. 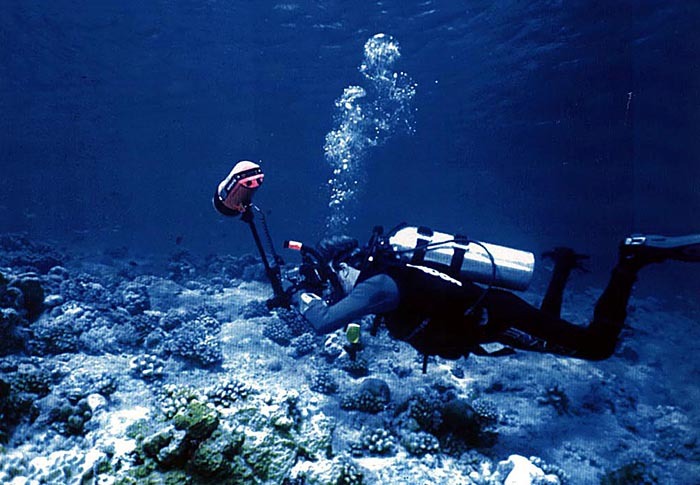 The book was so anxiously awaited by the growing number of reef hobbyists in the early 1990’s that over 8000 copies were pre-sold prior to printing. The first book was followed by Volume 2 in 1997 and Volume 3 in 2005. Together, the trilogy comprises the most comprehensive set of books published on reef keeping to date. Charles’ articles in FAMA and other forums caught the attention of Dr. Bruce Carlson then Director at the Waikiki Aquarium and famous for his work on corals. The pair met in 1991 at the Association of Zoos and Aquariums Conference in Toronto. In 1995 Charles was offered a job that would change his life. He left the freezing winters of Toronto and moved to Hawaii to work as an Aquatic Biologist at the Waikiki Aquarium. While at the Waikiki Aquarium, Charles helped to develop the “dry shipping” technique for corals, a method now widely used worldwide. Charles has since moved on to the California Academy of Science’s Steinhart Aquarium where he is the Assistant Curator. 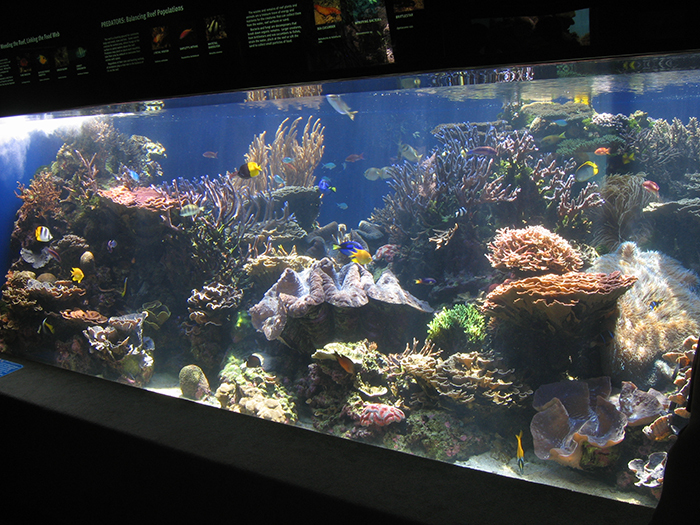 The 5000 gallon reef tank at the Waikiki Aquarium, designed and built by Charles in 2001. Charles has helped lead the reef aquarium hobby in North America from a tiny and obscure hobby to the phenomenon that it is today. 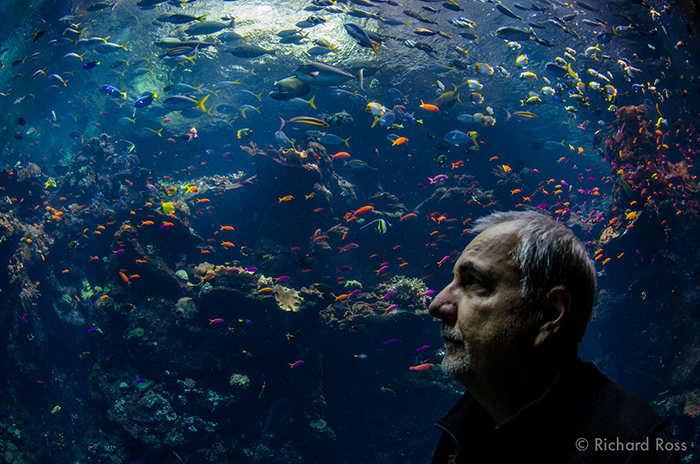 He is truly a pioneer whose profound impact on reef keeping will remain for many years to come. 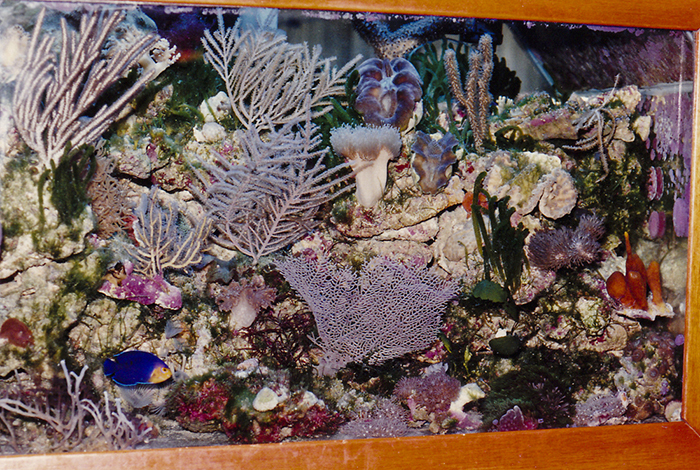 The 212,000 gallon reef tank at the Steinhart Aquarium, for which Charles served as a consultant from 2002-2004.